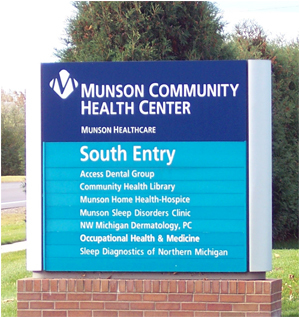 Comfort and convenience are the hallmarks of Northwestern Michigan Dermatology, PC's office operations. To ensure your convenience, below is the information you need about our hours, location, appointment scheduling, insurance acceptance and billing. 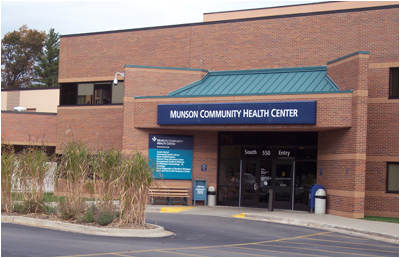 We are located on the second floor of the Munson Community Health Center building at 550 Munson Avenue, Suite 200. Please feel free to call the receptionist if further assistance is needed. Being well-prepared for your appointment will ensure that the doctor has all of the needed information to provide the best possible care for you. It will also help alleviate any unnecessary anxiety you may be feeling prior to your first appointment. Educate yourself by reviewing the content on this Web site. Also, take some time to familiarize yourself with our physicians. We look forward to your first visit. Please speak with our friendly receptionist to schedule an appointment. We are happy to answer any questions you have. We accept cash, checks, Mastercard, Discover or Visa. We can also arrange a payment plan. Please speak with our billing staff at (231) 935-9236. The needs of our dermatology patients are at the center of our daily work. Our goal is to provide our patients with the highest possible quality of care, treatment, and comfort that we would want for ourselves and our families. We make every attempt to serve our patients with actions that convey compassion, active listening, sensitivity, and empathy. We strive to seek excellence every day by practicing at the highest level of professional standards. We are continually taking the initiative to continously improve our knowledge, skills, and services. We value working together through practicing mutual respect and consideration in our interactions.